Discover The Beauty Of Australia With A Road Trip - Go For Fun: Travel, Sailing, Photography - Inspiration, Tips, Adventures - Australia and The World! There are few places on Earth that are as spellbinding as the island continent of Australia. Some of the most interesting and unique animals in the world are found on this island nation. A vacation to Australia is one of the most unique experiences anyone could ever undergo and driving across the entire continent is an experience like no other. If you’re planning to drive across Australia, you could start in Newcastle. This strategy allows you to begin on the East Coast of the continent and drive west. Anyone over the age of 18 can use the license from their home country so long as they have been in Australia for less than 6 months. Obviously the first thing you’ll need if you’re going to take a road trip across the continent is a car. There are many places in Newcastle to rent a vehicle and the people at Klosters smash repairs can run a full diagnostic check on the vehicle. They can help to make your road trip a safe one. You’d hate to be in the Australian wilderness and have the vehicle break down miles away from civilization. After leaving Newcastle, you should head south to Sydney. Only 73 miles (118 km) separate the two cities and the drive takes less than an hour and a half. Once in Sydney, there are a number of different attractions to see including the world famous Sydney Opera House. 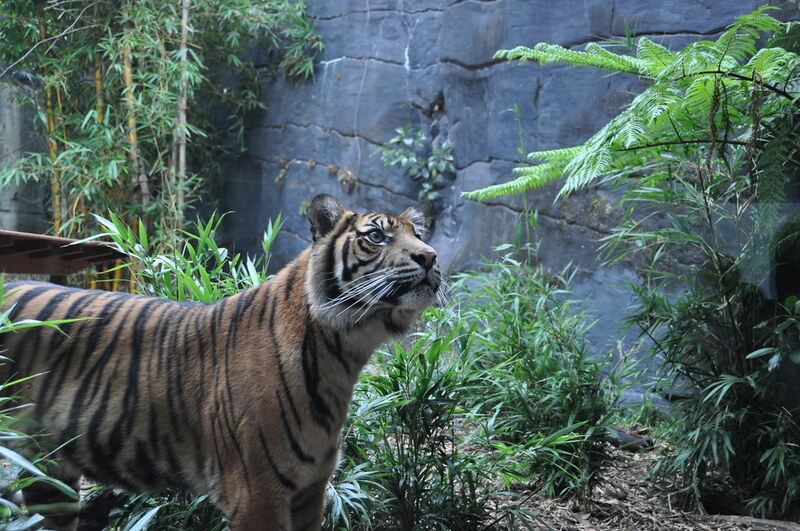 Another amazing tourist attraction in Sydney is the Taronga Zoo. This zoo was opened in 1884 and it was New South Wales’ first public zoo. The Sydney aquarium is also a fantastic spot to visit while in the capital city. Visiting this aquarium is like walking through the ocean. Some of the sea’s most exotic creatures, such as stone fish and sharks, can be found here. Since the road trip is just at the beginning, you don’t want to spend too much time in Sydney. You should probably get going after you grab a bite to eat at one of the local restaurants such as Kebab Abo Ali. This Mediterranean restaurant has some of the most interesting cuisine anywhere in the country and their prices are fairly reasonable. After leaving Sydney, the next stop along the way will probably be in Canberra. It’s 177 miles (285 km) from Sydney and this will be a good spot to lodge for the night. There are a number of hotels in Canberra including a 5 star Hyatt. If your budget won’t permit such costly lodging, there are other places to stay such as the Mantra and the Belconnen. The next can’t miss stop on your Australian road trip should be Uluru in Alice Springs to see the magnificent Ayers Rock. This is one of the most majestic sights on earth and pictures just don’t do it justice. Alice Springs also has quite a few spots for lodging such as the Desert Gardens Hotel Resort as well as the Sails in the Dessert Resort. After leaving Alice Springs the next major city on your epic adventure across the continent Down Under is Perth. Perth is the capital of Western Australia and is one of the most astounding cities in the world. Now that you’ve traveled all the way across an entire continent, you’ll want to reward yourself with some serious rest and relaxation. Fortunately, the city of Perth is the perfect place to get just that. From the mainland, it takes a mere 25 minutes to reach Rottnest Island. Once there you can enjoy the amazing beaches and you can even go surfing or snorkeling. The vast array of marine life flurries among the vast coral and going snorkeling gives you a chance to see the animals up close. This wonderful park is a very short distance from Central Perth. This pristine park provides you the opportunity to just relax and enjoy the wonders of nature. You can get a delicious meal at Fraser’s restaurant or just enjoy a stroll or bike ride through the park. Australia truly is one of the most amazing places on Earth and a road trip across the island continent is an enriching experience. There is something for everyone at nearly every destination, and it’s easy to see why so many people come here for vacation on a regular basis. From beaches and surfing to opera and museums, there is no shortage of things to do and places to see. If you’d like to take a road trip that you will never forget, consider visiting the land Down Under and you’ll be glad you did.